Welcome to the Kyusho Jitsu Home Study Course 5th Dan Black Belt Senior Master Level. This is the next step to the deepest understanding and application of the science of pressure point self defense called Kyusho Jitsu. 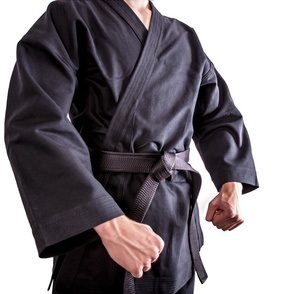 So what is the Kyusho Jitsu Home Study Course for 5th Dan Black Belt all about? It is about perfecting what you know and developing a deep understanding of very specialized pressure points and their applications. You have worked very hard to get to this level! And I know this course will not disappoint you! This is an all inclusive course which includes your personal Black Belt Grading to 5th Dan Black Belt and Senior Master! So what is in this course? There is a complete breakdown and video example for ALL of the above! No guess work! Also included is advanced body tying, and Advanced Meridian Theory. As always it includes FULL support from myself and the other senior masters in the Kyusho Jitsu World Alliance! If you have any questions please email me at [email protected]. This course, which is another all inclusive certification course is designed to bring you to the master class level of knowledge and proficiency! You will not only learn many new things in this course but also become a master at the application of this knowledge. So don't be afraid to ask questions, and submit video for critique! This is the very best way to learn! And it will also retail for $997! However if you decide to Order the course now, then I am going to offer you an incredible price! When the clock runs out, so does the price! Order Now NOT FOR $997! Would you like to learn more about Kyusho? Subscribe below if you would like to learn more about distance learning with our Kyusho Home Study Courses! Fill out the form below, verify your email address and you will receive more information on our Kyusho Jitsu Home Study Courses!